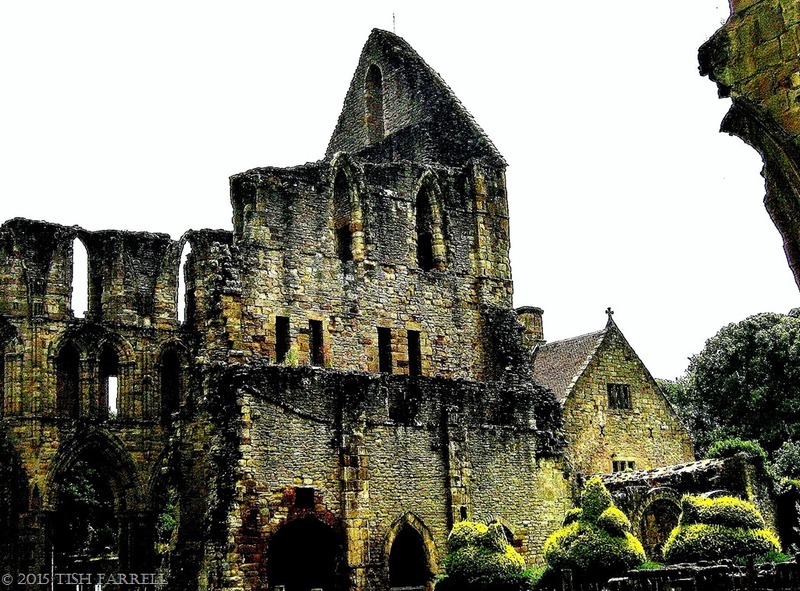 Posted on May 18, 2015 November 19, 2018 by Tish Farrell	This entry was posted in Heritage, Photo Challenge and tagged 5 Photos 5 Stories, Henry James, St. Milburga, The Turn of the Screw, Wenlock Priory, writing and a sense of place. Bookmark the permalink. There’s such a haunting pull in these old buildings where ivy, moss and other green plants begin to take over a place that was once lived in… perhaps it is the sense of the presences still lingering there, or perhaps it’s the feeling of stories once lived but now forgotten, or perhaps it’s a bit of both and many more invisible things that prickles my senses. It’s a great photo too, Tish. It certainly is a very ghostly looking ruins Tish. The words of Henry James give it so much character and a real presence with the words he used. Henry V111 had a lot to answer to and he certainly changed history. I actually was a house keeper for a year in 1990 in one of those monasteries that Henry had thrown the monks out of and given it to one of his cronies for a farm house. Now it is known as Hickstead House in Sussex. That was an interesting year. 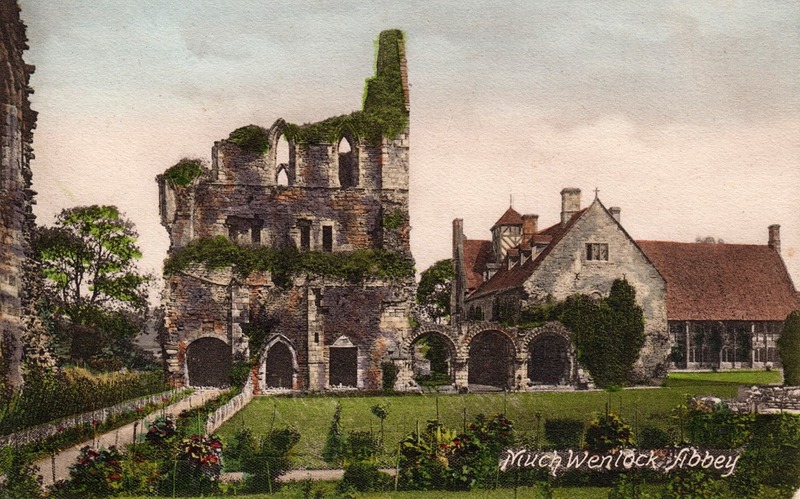 This post has whetted my appetite for more secrets of Much Wenlock . It has been an interesting journey. Hopefully still more chapters to come. I never knew this! Have you written about this part of your life yet PP? Sounds fascinating. It was certainly one of the highlights of my life, Jack came over too, but 6 months after me, and that is a long story too!!! The things rich people get up to. Well I probably would get into trouble if I did blog about it. I think every one has interesting stories in their life. I don’t think many have such interesting stories as YOU have! I’ve always grabbed opportunities as they arose and been lucky with the outcomes. Oh you gave me so much pleasure with the quote from James. I imagined that ponderous man sprawled on the grass covered in creepers eying off the masonry: I just don’t believe he did it, and of course he merely suggests that you might. The were many other pleasures – the way you people place with abbots and kings and saints and writers; the atmospherics of photo and postcard; and the verve and familiarity of your writing. I’m hungry for the rest of the series. Gosh, Meg. You did do well conjuring James like that. I’d been rather hoping that he did get down on the grass, but you’re probably right. On the other hand he might not have been so ponderous after Milnes Gaskell had taken him trekking all over the locality. And lo, that my bones should smell sweet if rediscovered one day from their pile of ash. 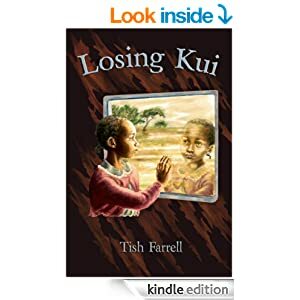 Nice story and images Tish, thanks! Just the place for spirits! Both great looking photo’s. Nice to read the history! Wonderful!